Merry Christmas one and all!!! Albeit a very late, it still comes with all the wishes for a safe and happy holiday season sprinkled with much fun and frivolity! I cannot believe where this last month has disappeared too! No sooner had I packed up from the second garage sale then I was up to my armpits with baking, packing for our week’s holiday which commenced the day after school finished, endeavouring to get all the shopping done BEFORE school was out, plus all the general froth and bubble that goes with day to day life in the lead up to Christmas anyways! Another thing that kept me busy in that fortnight before school finished for the year was making four dozen Sour Cream Bags. This name is actually American and probably should be renamed “Frozen Samboy Bags” for here as I have yet to see any sour cream in these shaped bags in the Australian dairy cabinets. These bags were in lieu of Christmas cards from the children to their class mates. Last year the children made their own cards. Yes I did design a card each for them to copy but what can I say, they are my children hence they nodded their heads in unison with a “yes mum” whilst all the while doing their own thing. Now who does that remind you of?! No such luck this year though, their hearts were willing but their bodies weren’t able so it was left to me to cut, stamp and punch. 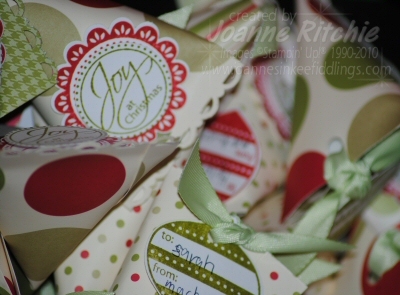 Miss Seven did however sort the Christmas Tree marshmallows that went inside each of these little bags quite willingly and they both wrote up their own Christmas tags thankfully. 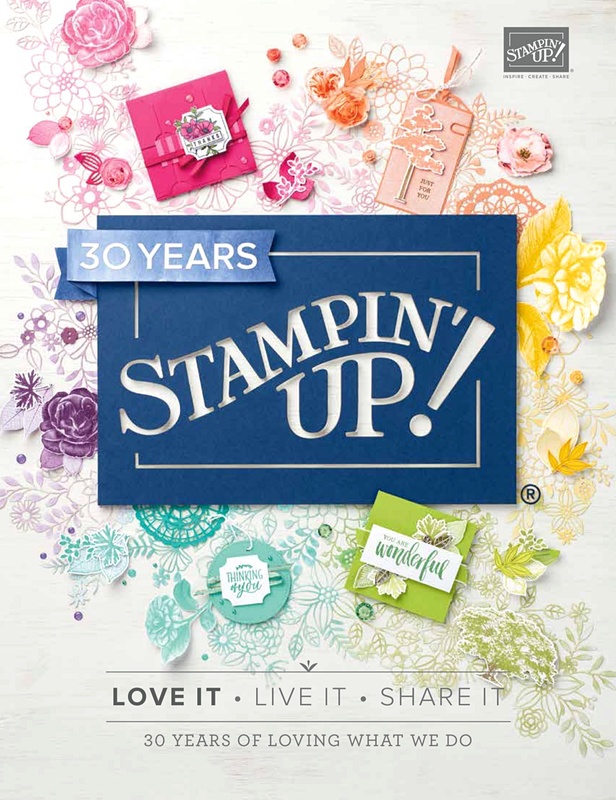 Both the paper and ribbon were last year’s stock from Stampin’ Up! 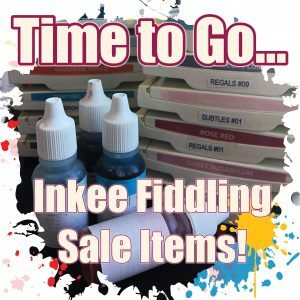 I can highly recommend these bags should you need to use up any back-log of supplies you may have. I could have used even more paper but the Midas in me redid the sizing’s so I could get six bags instead of just the four out of one 12×12 – far more economical for mass makings! 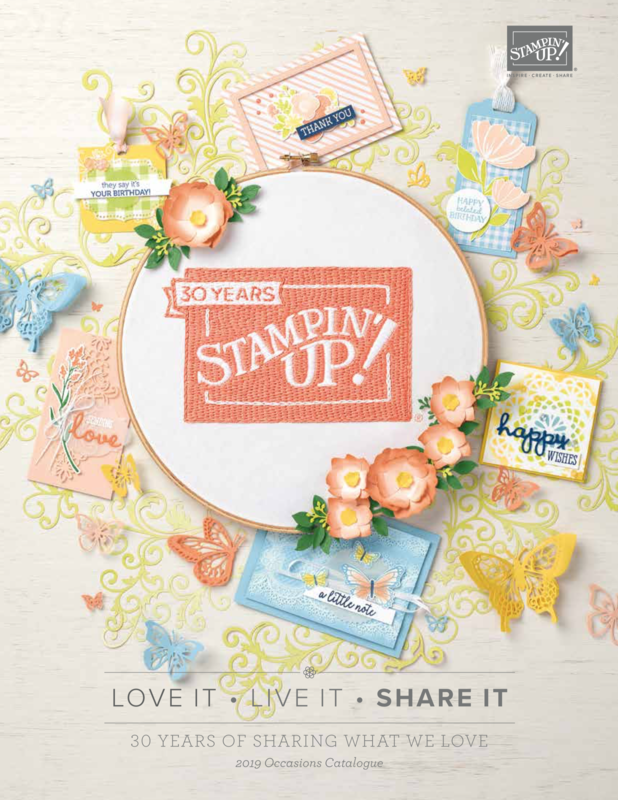 The stamps however are both from the current Idea Book and Catalogue from Stampin’ Up! The Perfect Punch set I now leave in my kit as I continually reach for it when I need a basic sentiment that doesn’t look basic.W hat you can’t see from this picture is that I’ve in fact stamped Joy for Christmas twice – once in green, once in red – using my 1-1/4″ circle punch on one just for the sentiment then using dimensionals to adhere this circle then to the scallop punched out stamp. 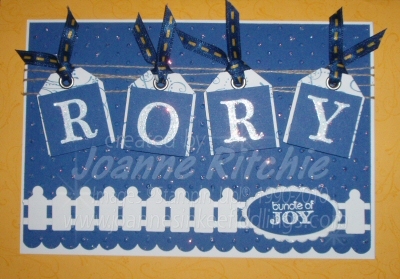 As for the bauble stamp from the Delightful Decorations set, my gosh, how often did I use that in the last four weeks? All I can say is thank goodness my bauble punch was up to the challenge as at a rough guess I think I’ve used it at least 500 times… if not 600 times… at least! What is orange and says Ho Ho Ho? Here’s hoping you all had a wonderful Christmas whichever way you may have chosen to spend it, and are now bunkering down for one heck of a 2011! Anyone who knows me can attest to the fact that I absolutely, unequivocally, ADORE winter but I have to say, this winter with the infections the children are bringing home from school, and we seem to average one a week, I’m almost over it… note I said almost! My darling Master Nine after a week of coughing still sounds as if he’s a three-pack-a-day boy but at least he looks okay, something I couldn’t say of him last week. At the same time my darling husband is battling much the same combined with wattle allergies, and I have what seems like a stomach flu that is gently waving in the wind – one day it’s here, the next it’s gone, then it’s back, then it’s not… oh to wake up and not feel as if a bus has hit me. It’s always the little things in life isn’t it that you truly appreciate?! I headed straight down to the Studio as soon as I arrived home after dropping the children at school but wouldn’t you know it, the cats were suffering cabin fever (DON’T ASK…) and boy, were they letting me know! It doesn’t help that the local scrub turkey’s have taken to scratching in our front yard so the cats are beside themselves getting to the front window in the studio to be part of it all. Which is normally comical but this morning Miss Poppy managed to knock over my cup of coffee. Hmmmmm… so if you thought it was an earthquake you felt them morning just after 9 o’clock it was in fact me. It was only half a cup but it seemed to go EVERYWHERE. I could NOT believe it. And that my friends, pretty much set the pace of the day! However, I did get a couple of cards made today which is something and this one highlights a Fond Farewell to Colour #15 – Creamy Caramel. This is another card that actually started it life as an A6 but it just wasn’t right so today I extended it to an A5, added a few bits and bobs, and I have to say… I couldn’t be happier! What do you get from an educated oyster? We couldn’t believe it – in a matter of a week we’d heard of five different couples we knew of who had each been blessed with the birth of a son… and one little girl. It’s been so long since I have touched anything even resembling a baby’s card so talk about getting into a completely different mind space! And of course, me being me, I couldn’t just go down to the Studio and whip something up… oh no… I had something very specific in mind and when it wouldn’t transpire to – well… let’s just say it slowed things up tremendously. It did however remind me that I had made a card a while back in celebration of a friend’s first grandson that I never posted and now that I’m looking at it again I see I’ve used a retiring colour so without further ado here ’tis… a Fond Farewell to Colour #13 – Summer Sun! 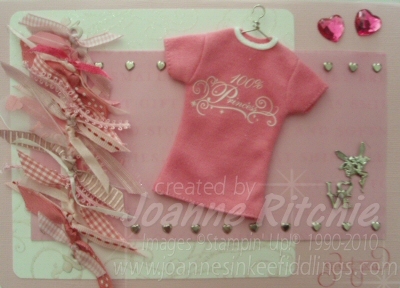 Once again, this card is nothing what I had in mind as I wanted to peg the name onto the string and even had a little jumpsuit cut out for it (an influence from the new catalogue – not long now!) but it just didn’t look right at all. The blue I’ve used is the Brilliant Blue which is also retiring. 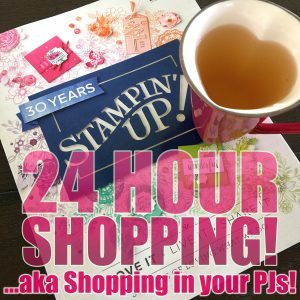 Everything on this card is Stampin’ Up! with the exception of the ribbon. 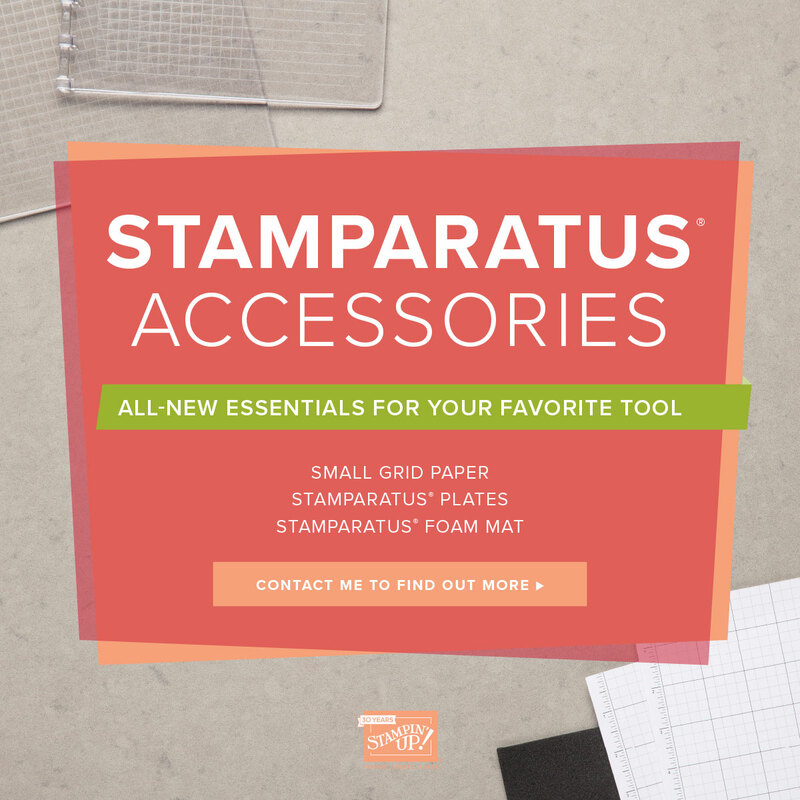 I did try the narrow white ribbon from Stampin’ Up! but felt this one in the blue with a little yellow running through it worked much better. The next card I did was for Harrison’s hairdresser who after four little girls now has his heir! 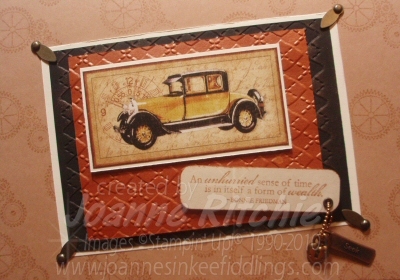 For this card I used another retiring colour so here’s a Fond Farewell to Colour #14 – Only Orange. I was really happy with this card as I was able to use a few things from my other stash which had me thinking out of the box. What I found amusing was that I’ve never been a great fan of orange but after making this card it really had my creative juices flowing. Consequently I now have depleted my Only Orange supplies. How funny is that?! 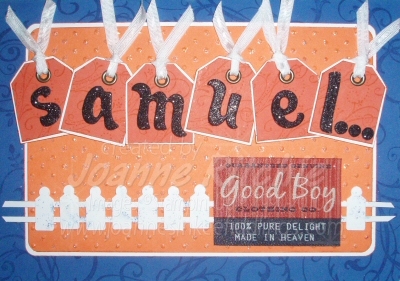 Here is another card the orange inspired for a work colleague of my Darling Hubby’s who recently was blessed with his first son also. 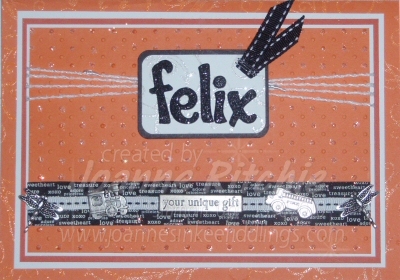 With the background on Samuel’s card I simply Versamarked it, whereas on Felix’s card on embossed it in orange. 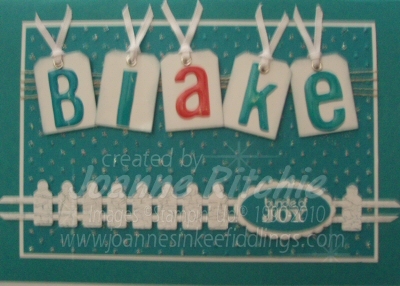 Here are the other two cards I did – yet another boy’s card for Master Blake, then saving the prettiest for last, Miss Emily’s card. Welcome little people!